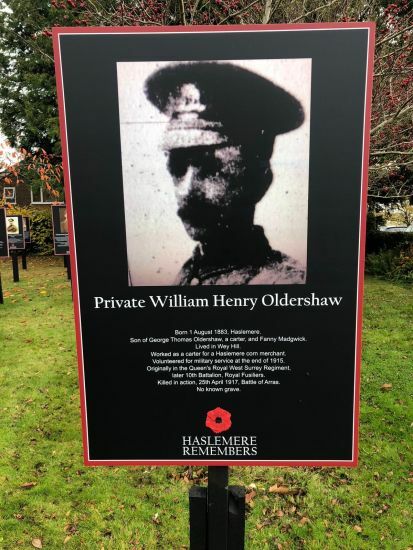 Leightons Haslemere has commemorated the Armistice centenary through a ‘close-to-home’ connection. 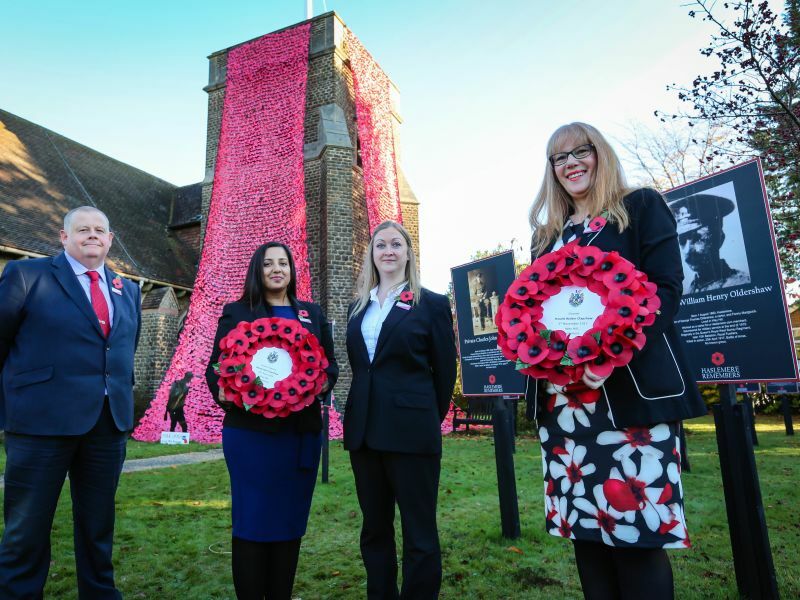 Team members sponsored a poppy cascade artwork at St Christopher’s Church opposite our branch in Wey Hill along with repairs to the church flagpole and cross. 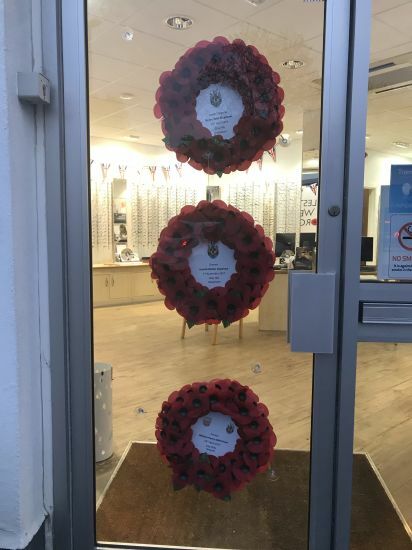 And in the run-up to Remembrance Day itself, we worked with the local town council to hang three very special wreaths in our doorway. The move was in support of the council’s initiative to position personalised wreaths at addresses associated with all 145 names on local war memorials. Leightons is on the ground floor of Clay House, where two young brothers whose names appear lived before going off to fight in the trenches more than a century ago. Gunner Harold Walter Clapshaw, who had been a gardener, was killed in action in 1917 serving with the Royal Garrison Artillery. He was only 21years old. Harold’s older brother, Henry John Clapshaw, was a labourer before joining the Royal Sussex Regiment where he was promoted from Private to Lance Corporal. Henry survived the war itself but died of bronchial pneumonia in 1919 aged 31. The third wreath commemorates Wey Hill resident Private William Henry Oldershaw, a carter for a corn merchant, who was serving with the Royal Fusiliers when he was killed in action aged 33 in 1917. Leightons, which was founded just ten years after the war in 1928, established its Haslemere branch in the late 1930s. Branch Manager Lynda Skeldon said: “Both world wars have had such a huge local impact, even down to the building we occupy. From writing love letters by candlelight in the trenches to today’s ultra-advanced eye tests, we have also been researching the transformation in eye care over the past century. As well as eye care, we have offered a dedicated hearing care service for the past 12 years and can assist service veterans through the process of applying for grants towards hearing aids via the Royal British Legion’s Veterans Hearing Fund. Organisers of Haslemere’s Remembrance activities have thanked the Leightons team for our support this year.